Rustic elegance can coexist with environmental sustainability. 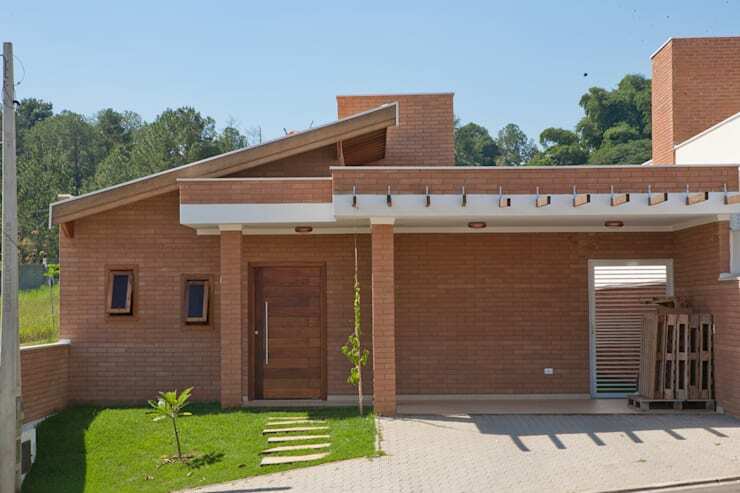 This brick and wood residence proves just that through the wonderful work of a Brazilian construction company. We're talking about balancing aesthetics with functionality and practicality. Take a look at what we exactly mean by reading further! 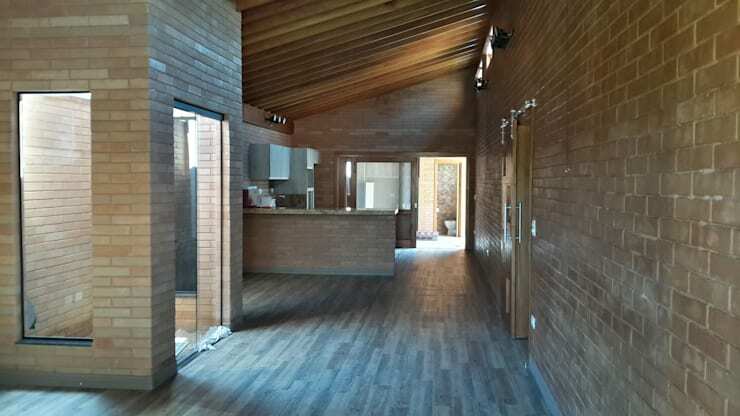 The house is just a simple one-storey but enhanced by the rustic effect given by the tandem of wood and brick. The roofs here have also been installed with solar panels so that's one seamless environmental effort. Let's zoom in closer. 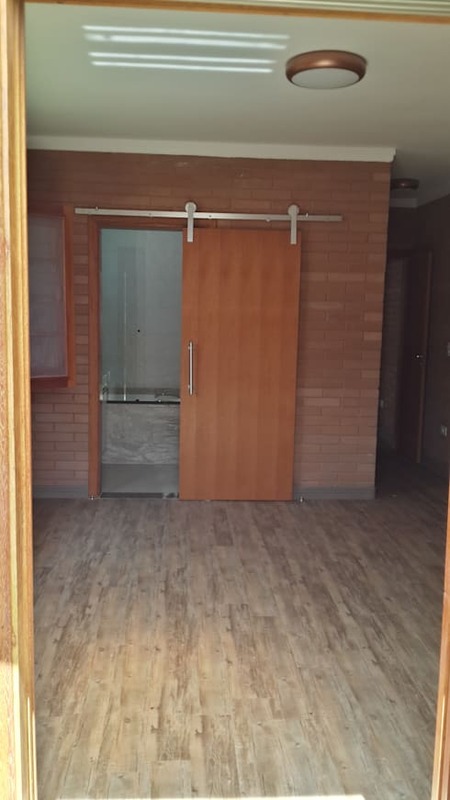 From the stylish wooden main door, you will find an elongated interior accentuated by the wooden flooring with lines that extend till forever. Now that's one way of drawing your guest's attention. The architects and interior designers have tricks up their sleeves on how to bring in more coolness and light inside our houses. 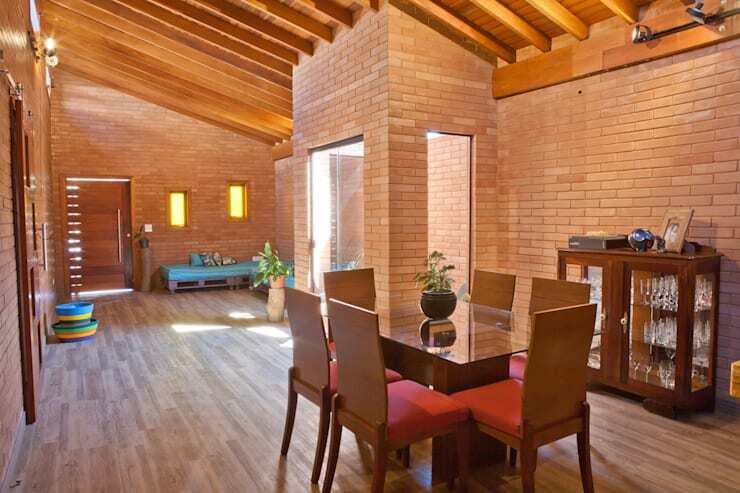 For this wood and brick residence, it was all about high, sloping ceilings with windows in the right places to capture that energetic warmth of the sun. And look, even without using electricity, you have ample lighting inside! There aren't even a lot of furnishings to impress guests in here. Instead, simply yet contemporary pieces complement the brown, rustic vibe of the surfaces. 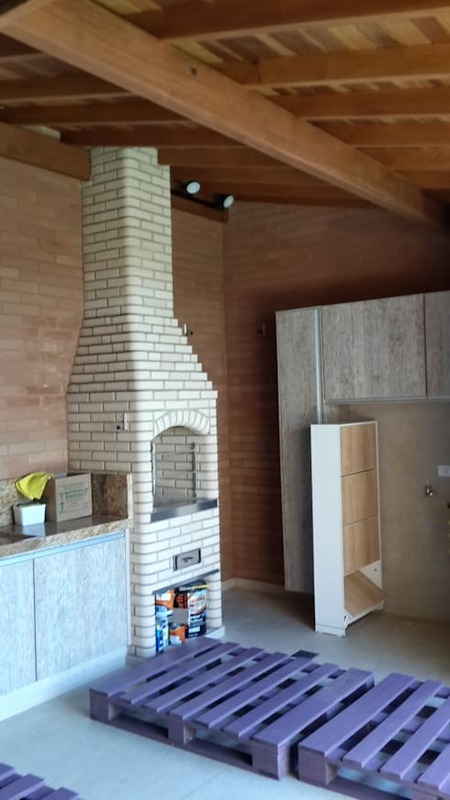 The oven also plays along the rustic modern theme with its traditional design. 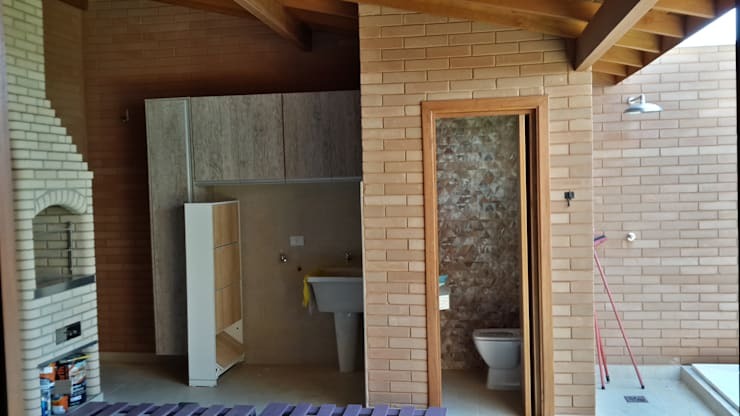 If public restrooms have cubicles, this house has a small toilet area with another small washing area just outside the toilet which saves plenty of space and is ideal for smaller homes. Apparently, the same toilet includes a small sink just opposite to it! 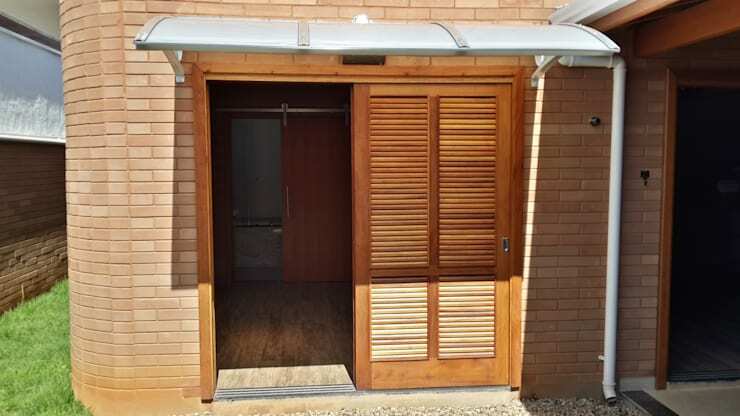 One shed or room is covered by bamboo-made doors with ventilating slits on them so that one does not totally suffocate inside, especially during summer. 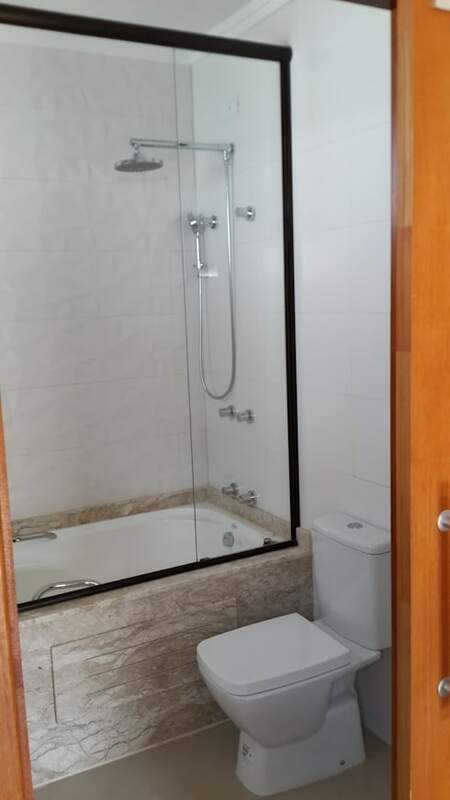 We have here a smart bathroom that doesn't obstruct and eat up a lot of space too! 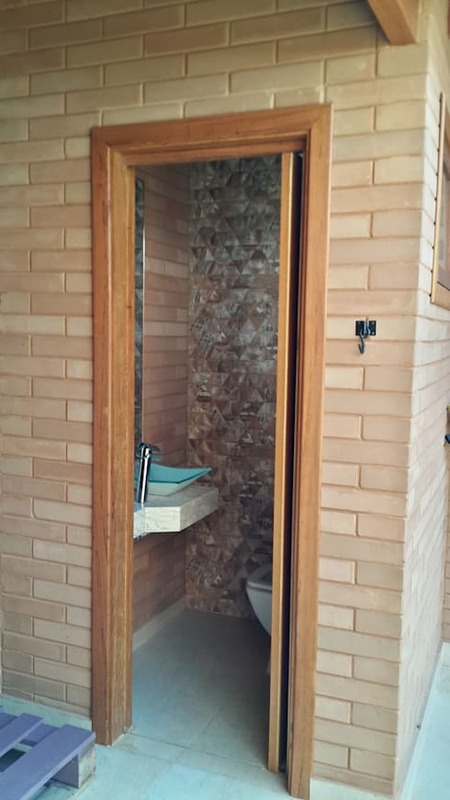 Try switching your swing bathroom door with a sliding one like the wooden door here. When we mentioned smart, we were also referring to the clever use of space just like tucking a classy marble tub beside a ceramic toilet like in this same bathroom! Not only is it convenient, but this arrangement is also very useful. 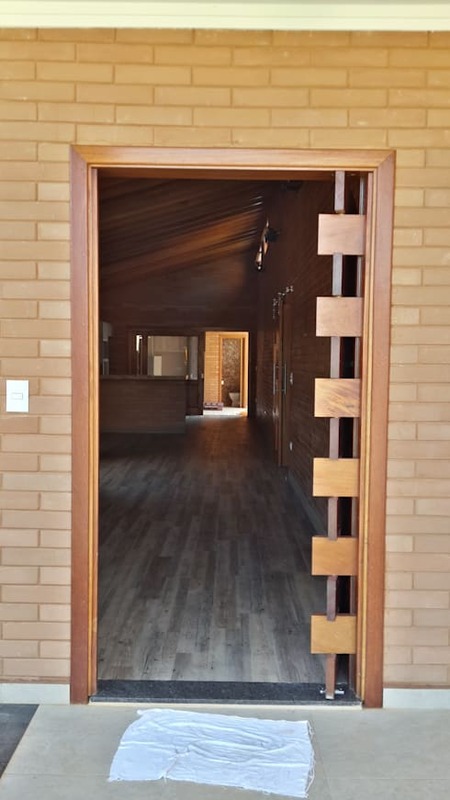 On this area, the wooden frames, floor, and brick walls merge to continuously brandish that sophisticated rustic ambience which work nicely because of the neutral tones of browns and a bit of red. 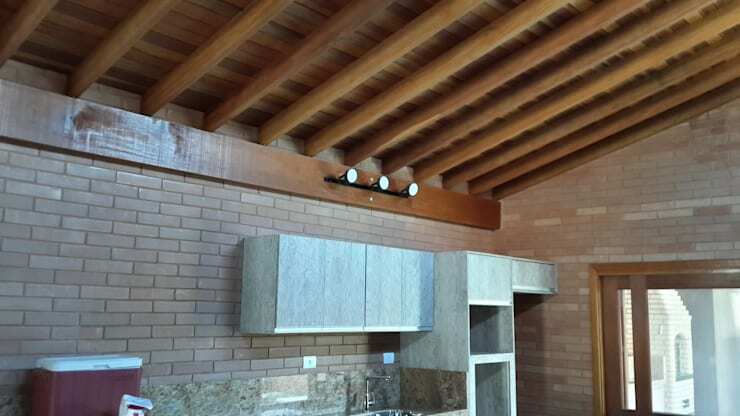 The visible rafters on this ceiling provide a chalet vibe that can take you momentarily on a Swiss vacation daydream. 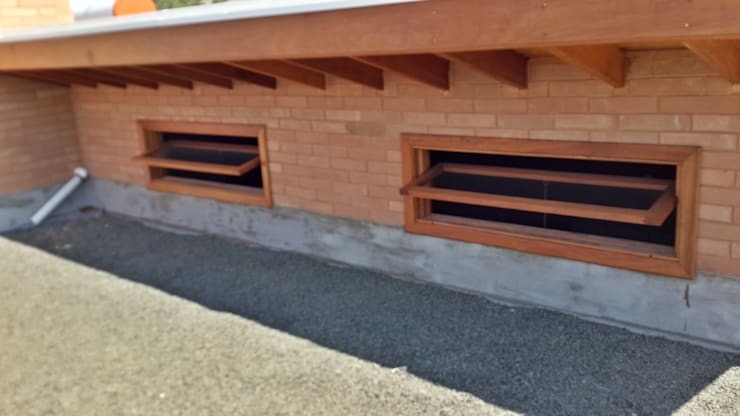 To keep dwellers conditioned naturally, the house had also been built with window ventilation systems. 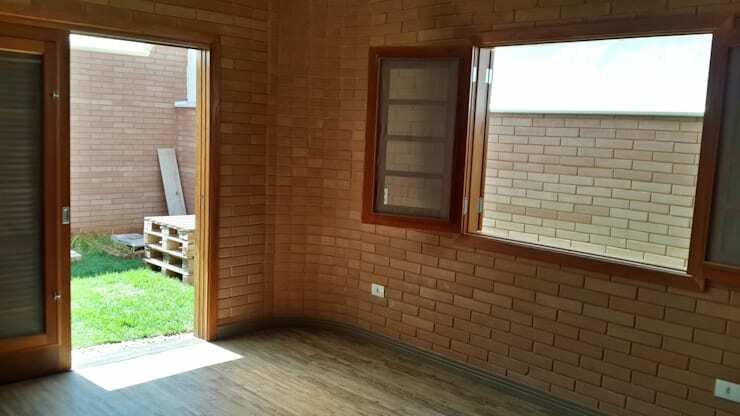 So can you already imagine yourself staycationing in a house like this brick and wood number?